The Egyptian drama Poisonous Roses won three awards during this month’s Cairo International Film Festival, which closed on Thursday. The awards, which were announced during the festival's closing ceremony, include Best Arab Film, the Salah Abu Seif Prize (Special Jury Prize) and the United Nations Population Fund (UNFPA) Award, giving the film the highest number of awards at this year’s festival. Poisonous Roses was screened within the Horizons of Arab Cinema section of the festival. Directed by Ahmed Fawzi Saleh (also known as Fawzi Saleh), the film is based on Ahmed Zaghloul Al-Shiti’s 1990 novel titled Saqr’s Poisonous Roses. The cast of the film includes Ibrahim El-Nagari (in the role of Saqr), Merihan Magdi (Taheya), Mahmoud Hemida (the magician), Mohamed Berakaa (the sheikh), Safaa El Toukhy (the mother). The Egyptian protagonist Saqr lives and works in a tanning district, but ha a dream to escape the area. In his review of the film published in the CIFF's daily bulletin, Egyptian critic Adham Youssef praises the film's cinematography and its visual richness, which "made the story engaging and appealing to viewers," he writes, pointing also to the successful story and plot. "Saleh’s film can be seen in a more humane context that does not deprive the impoverished working class of its agency. The characters in the film are powerful and capable of deciding on their lives. Poverty is present, but it is not the moving catalyst in their lives. In addition, the humane context is shown in a way how Saleh pushes the dynamics of the Egyptian working class hence the same story can be seen and heard in other places of the world," he wrote. Youssef also said that the director, who graduated from the Higher Institute of Cinema in 2009, dedicated his scriptwriting thesis graduation project to this film and spent years working on it until it saw light at the International Film Festival in Rotterdam in 2018. 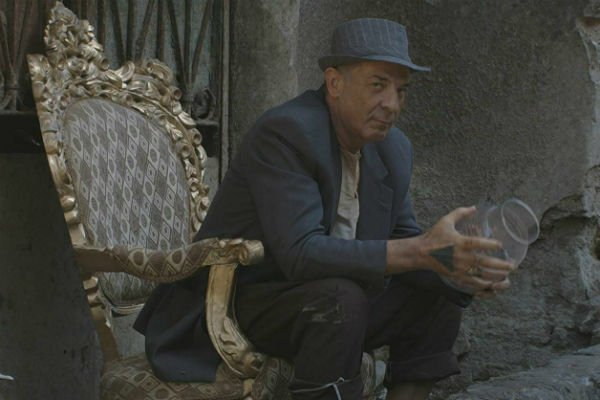 In Rotterdam, the film was nominated for Best First Film and Best Film – FIPRESCI Prize; it was also nominated for Best Film at the São Paulo International Film Festival 2018. Born in Alexandria in 1981, Saleh has contributed to many documentary films as a researcher, and co-writer, as well volunteering with human rights groups' focusing on improving life for children and labourers in Egypt. His previous film Living Skin (2010) sheds light on the lives of children working in the Cairo's leather tanning industry. Through personal stories of love and play, the documentary reveals the grim reality of work in the tanneries, where working children are exposed to hazardous chemicals that are harmful to both humans and the environment. Living Skin won several awards: the Best First Work Award at the Tetouan International Meditteranean Film Festival 2011, the Jury Special Mention Award at the Abu Dhabi Film Festival 2011, the Best Film (Jury Prize) at the Luxor African Film Festival 2011 and the Best Documentary (First Prize) at the Baghdad International Film Festival 2011. The 40th edition of the Cairo International Film Festival took place between 21 and 19 November. The Golden Pyramid for best film was awarded to A Twelve-Year Night, by Álvaro Brechner (Uruguay, Argentina, Spain).